According to her, the action was also prompted by an examination of the countryâ€™s electoral environment sequel to the 2019 presidential debate on Saturday, January 19, 2019.
â€œThis decision followed extensive consultations with leaders from various walks of life across the country over the past few days. I deem it necessary for me to focus on helping to build a veritable coalition to ensure a viable alternative to the #APCPDP in the forthcoming elections,â€ the statement read. She said, â€œIt is my ardent belief that this broad coalition for a viable alternative has now become more than ever before, an urgent mission for and on behalf of Nigerian citizens. I have therefore chosen to lead the way in demonstrating the much needed patriotic sacrifice for our national revival and redirection. 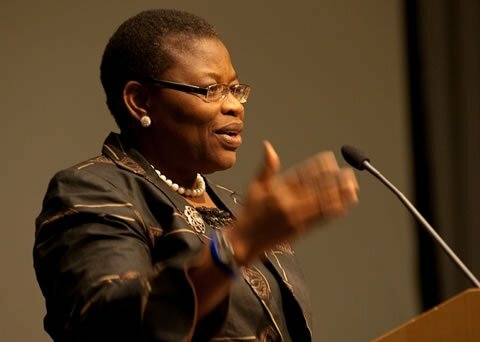 Ezekwesili also said, â€œdespite resistance from the Allied Congress Party of Nigeria on these and other issues, I have decided that it is now necessary to show by action and example my determination on this issue by stepping down my candidacy so as to focus squarely on building the coalition to a logical conclusion. She added, â€œFrom last year, when I joined the presidential race, I made it clear to Nigerians that the country has always had a 20-year cycle of change â€“ 1958, 1979, and 1999. As such, 2019 begins another 20-year cycle, and together with all Nigerians of good will, I stand ready to play my part to ensure that we do not miss this golden opportunity to sing a new song.